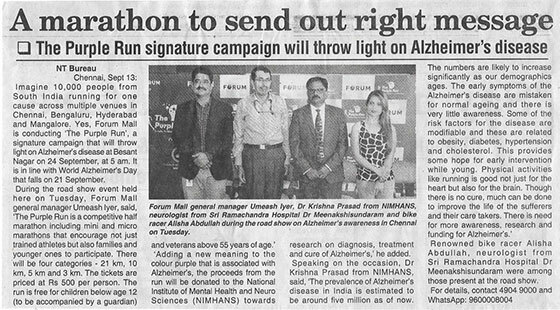 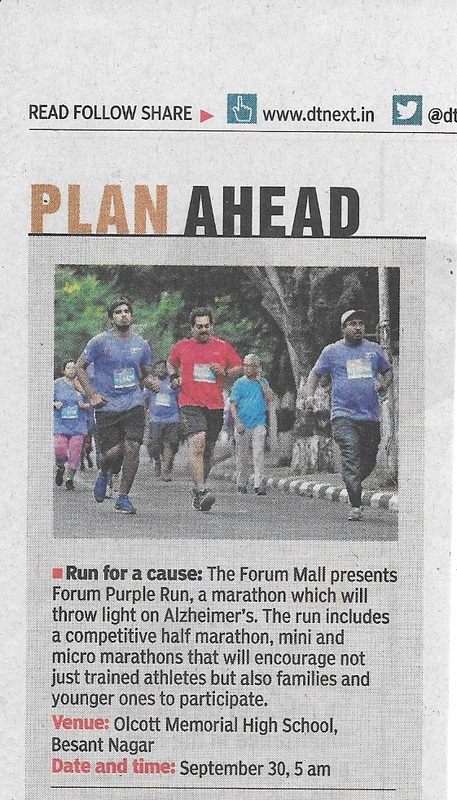 Around 20,000 runners participated in the second edition of “Forum Purple Run” organized by Forum Mall to create awareness about Alzheimer’s disease. 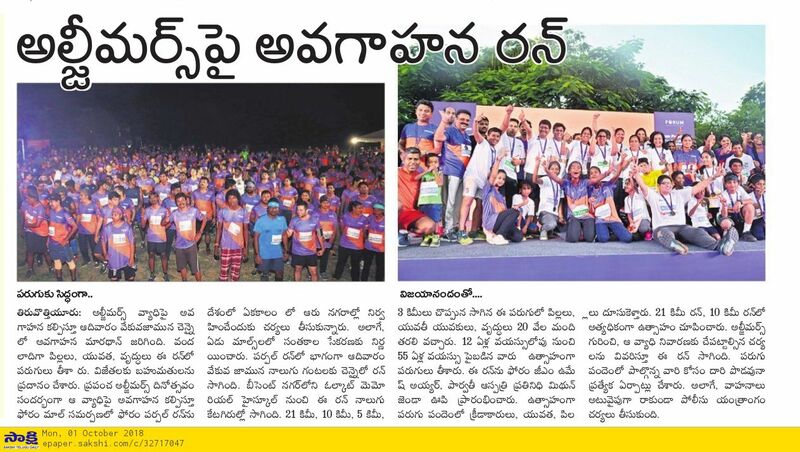 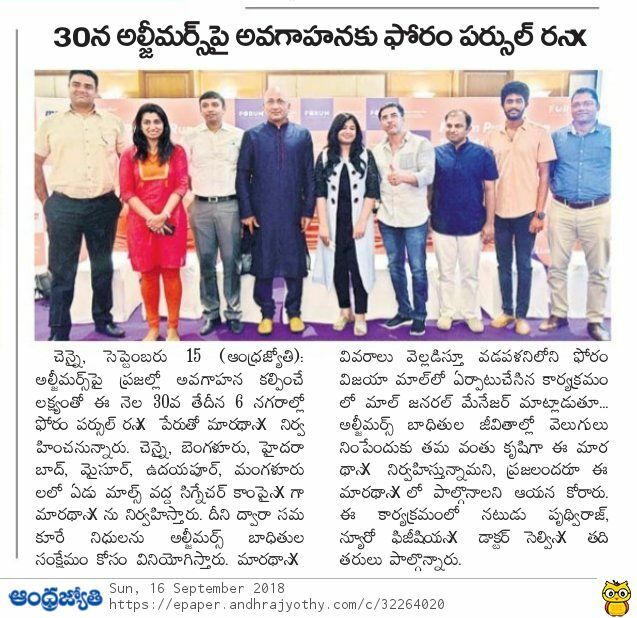 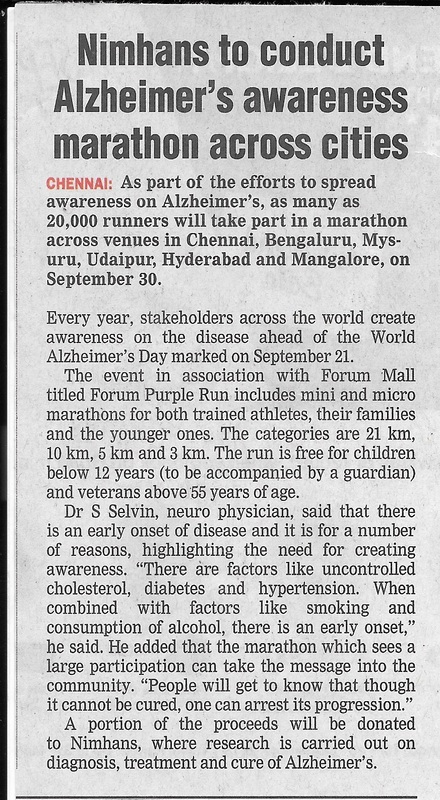 The races were held in four categories – Half Marathon, 10 km, 5 km and 3 km races across 7 Forum malls in the country including Chennai, Bengaluru, Hyderabad, Mangalore, Mysore and Udaipur. 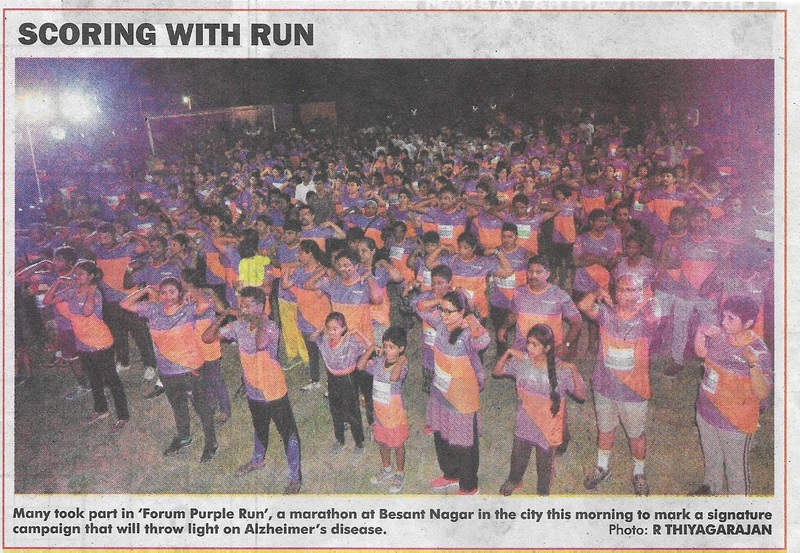 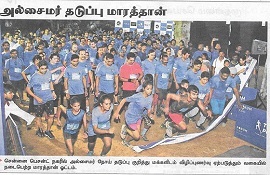 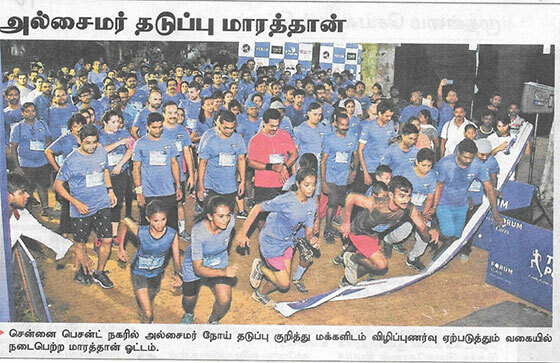 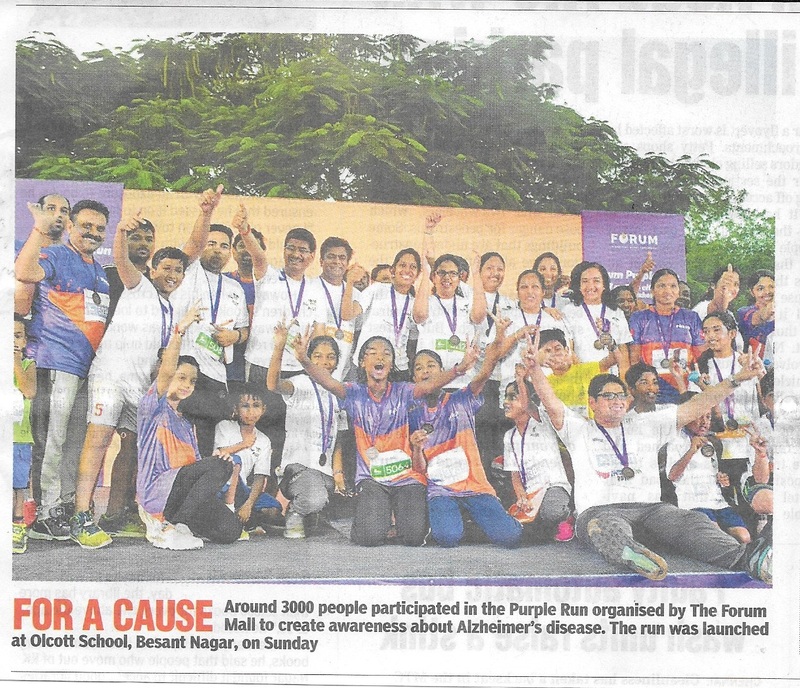 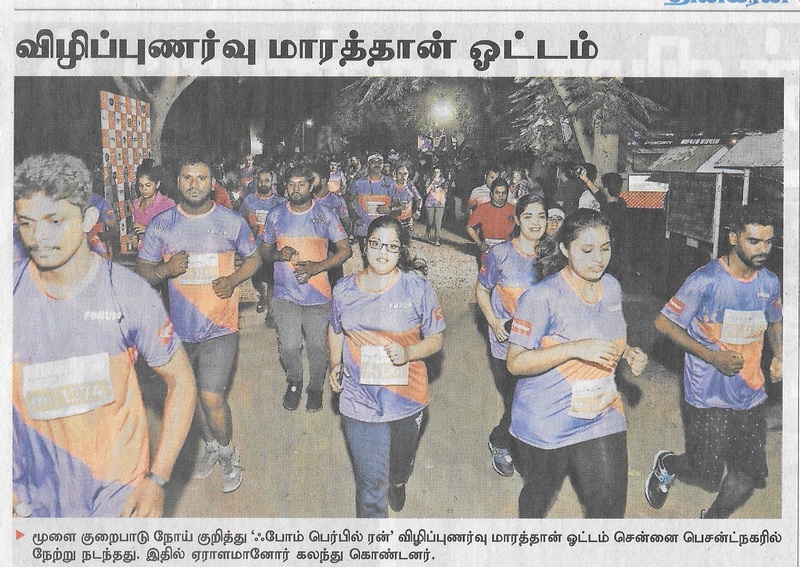 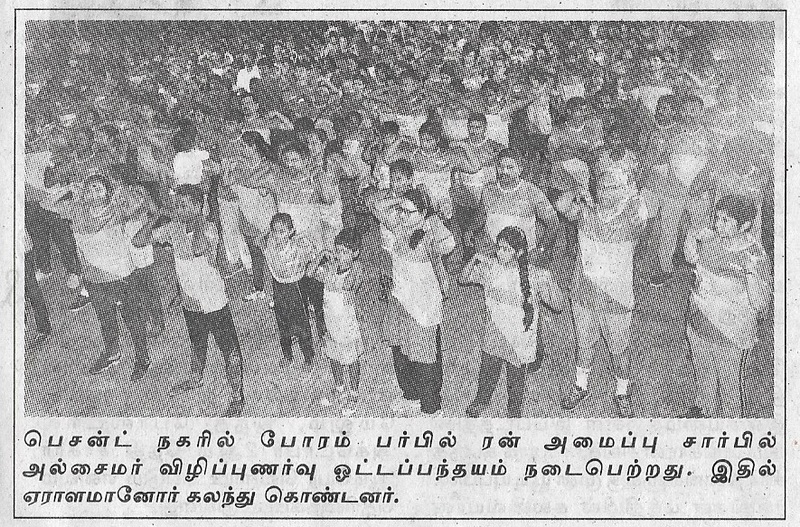 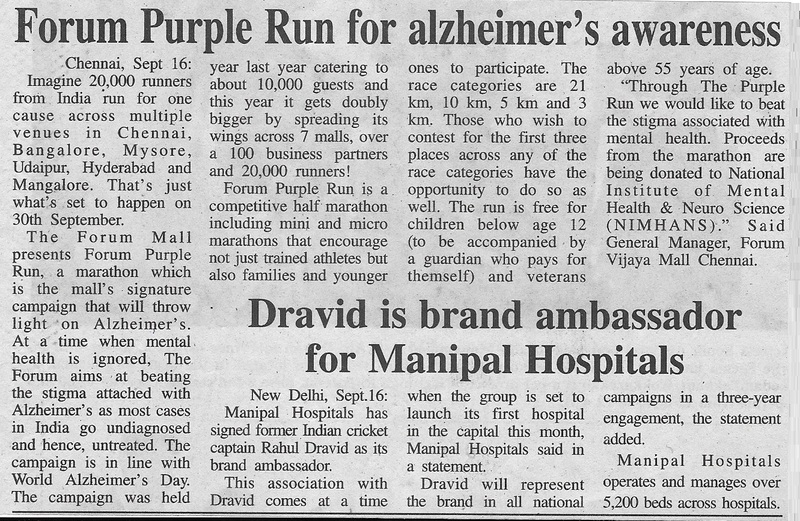 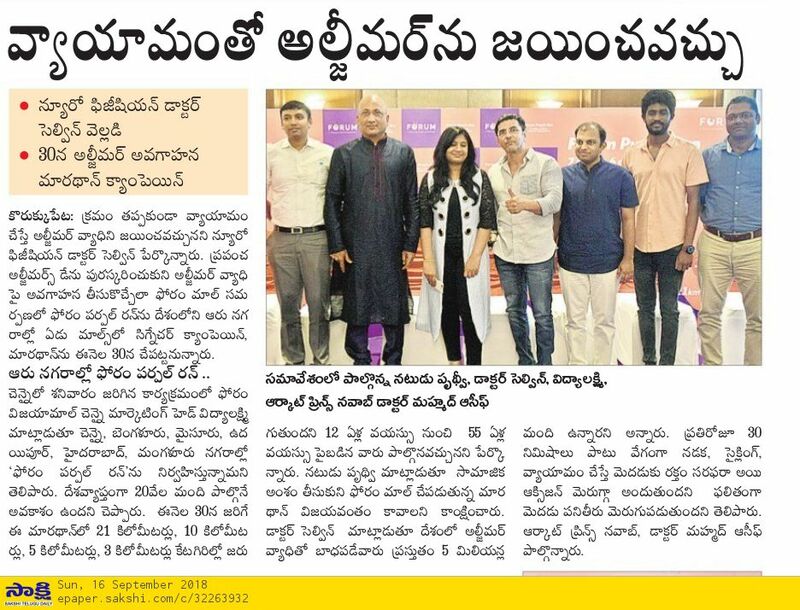 Residents from all walks of life came together on 30th September to participate in the Forum Purple Run that was held at Olcott School, Besant Nagar.